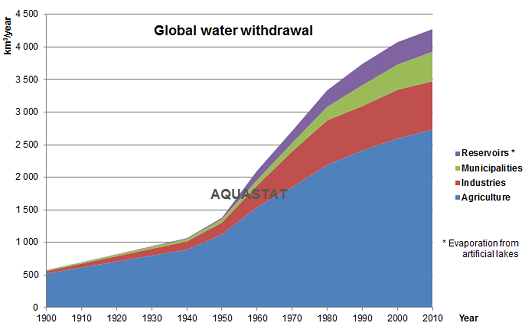 Agriculture places significant pressure on the world's fresh water, accounting for nearly 70% of all water withdrawals. That number can rise to more than 90% in countries like Pakistan where farming is most intensive. Unless substantial efforts are made to reduce food waste and increase the water-use productivity of farming – to get more “crop per drop” – water demands in the agricultural sector are projected to increase in the coming years to keep up with population growth. This article is written by Brett Walton, co-curator of the Transformation Map on Water.